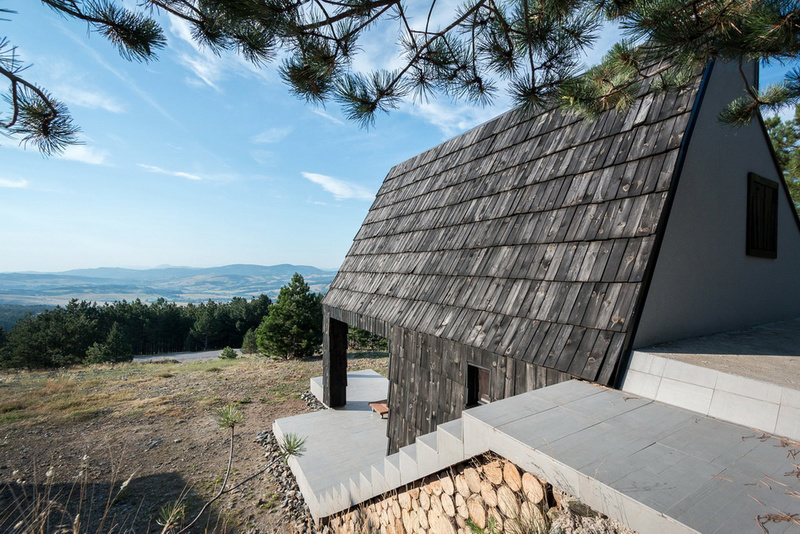 Located near the tourist resort Divčibare in Western Serbia, the Divcibare Mountain Home was built into the hillside to minimize disturbance to the site. 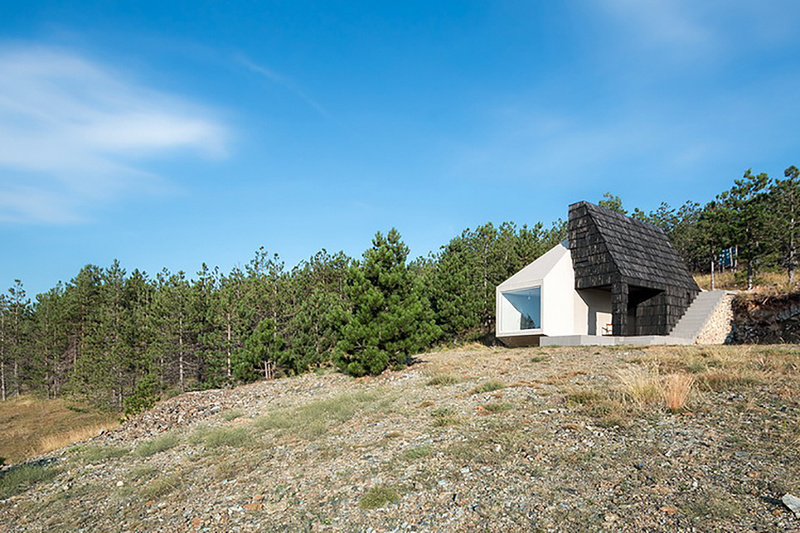 The two volumes of the home create quite the dichotomy, as one half is covered with white ceramic tiles, while the other sports dark timber shingles sourced from a local forest. The light half of the home opens up thanks to a large picture window, looking out to a sea of pine trees and mountains. 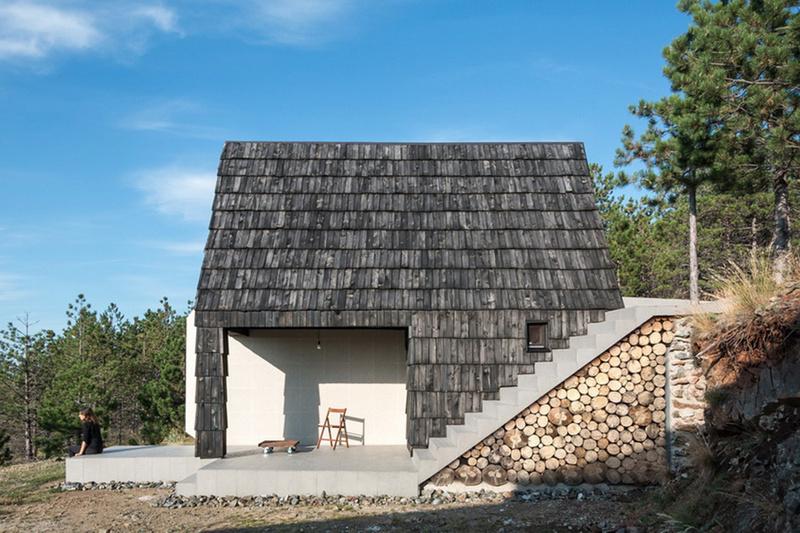 The dark half contains the bedroom and bath with a nod to traditional mountain architecture. A beautiful merging of traditional and contemporary styles placed neatly in the perfect natural environment.